​Did you think ​Yasiel Puig was done finding a way to get under the skin of the Los Angeles Dodgers and their fans? He's not going to let that offseason trade fly easily. Now a member of the Cincinnati Reds, he'll be visiting Dodger Stadium on ​Jackie Robinson Day for the first time in a different uniform. Initially, Dodgers fans thought the only way Puig could get his revenge on them was with his bat, but you must've forgotten his ability to play childish mind games. Yasiel Puig is 30 minutes late, and counting, to his Dodger Stadium press conference. Brilliant. 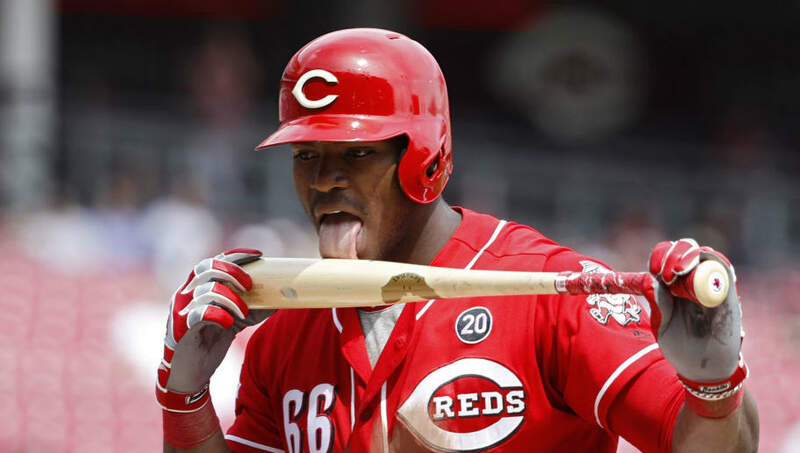 It turns out Puig on the Reds is no different from Puig on the Dodgers. The man is an enigma wherever he goes, and no drastic change of scenery will affect that. That's something the Dodgers were clearly aware of when they made the decision to trade him. Puig's already gotten himself into trouble in Cincinnati by getting suspended for two games due to his wildly unnecessary involvement in a brawl with the Pittsburgh Pirates. And man, is he holding strong. His trolling of LA is reaching never-before-seen heights. HE'S NOT EVEN AT DODGER STADIUM! Maybe he stopped at In-n-Out Burger or Del Taco on the way to work considering he's been away for so long? Either way, when he arrives, it's now SURELY going to be a scene.